Seniors Ella Paton and Laura Butcher have received high accolades and honors in soccer. 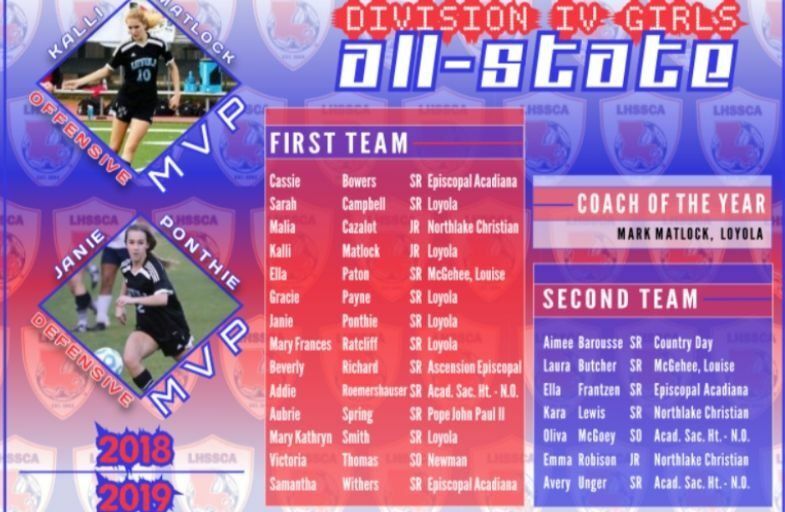 Ella Paton was selected to the All State First Soccer Team; Laura Butcher was selected to the All State Second Soccer Team. All State players are nominated for by coaches, then voted on by every coach in Division 4 throughout the state of Louisiana. Coaches have a limited number of votes they are allowed to cast so it is an outstanding accomplishment to make both of these lists. Congratulations Ella and Laura!